Yes! This cake could cause someone to want more. It is very addictive. 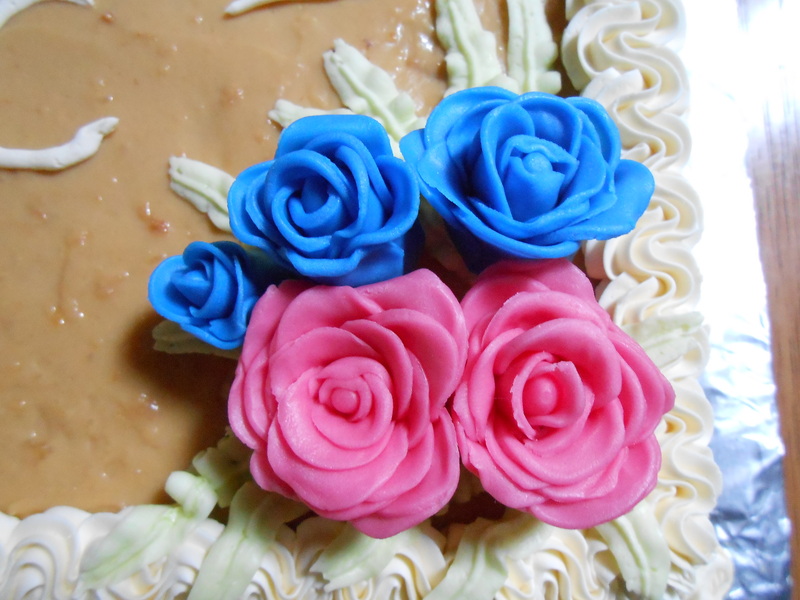 The sweetness is just right and the caramel icing is very creamy. 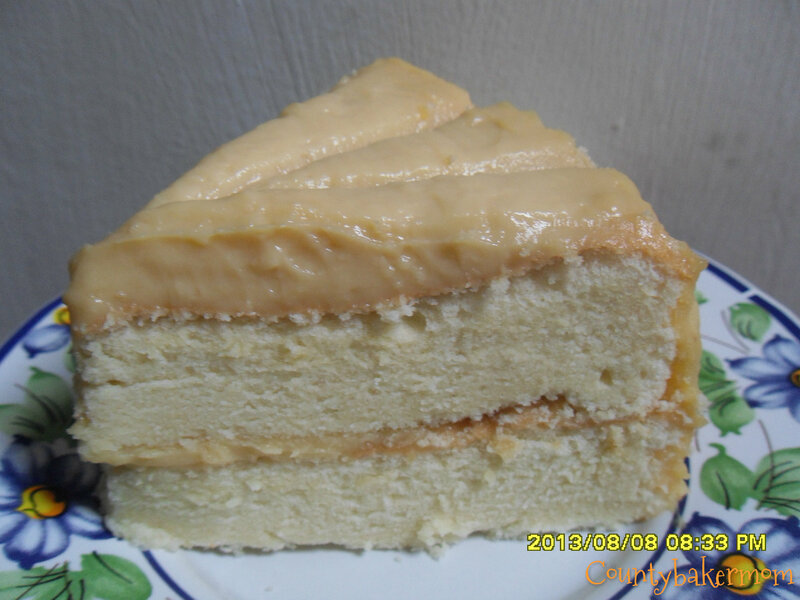 I’ve been wanting to bake this cake for a very long time but just too hesitant in making the caramel icing as I’m afraid that I could not do it right. Finally, I decided to make it for my birthday . As expected making the caramel icing made me fluster for a while especially with the part of pouring the boiled water after caramelizing the sugar. But,don’t fret as eventually the caramelized sugar will incorporate with the water. Just keep your eyes on your caramel mixture so you will not burn it and when it’s done (or close to done) remove from heat immediately. 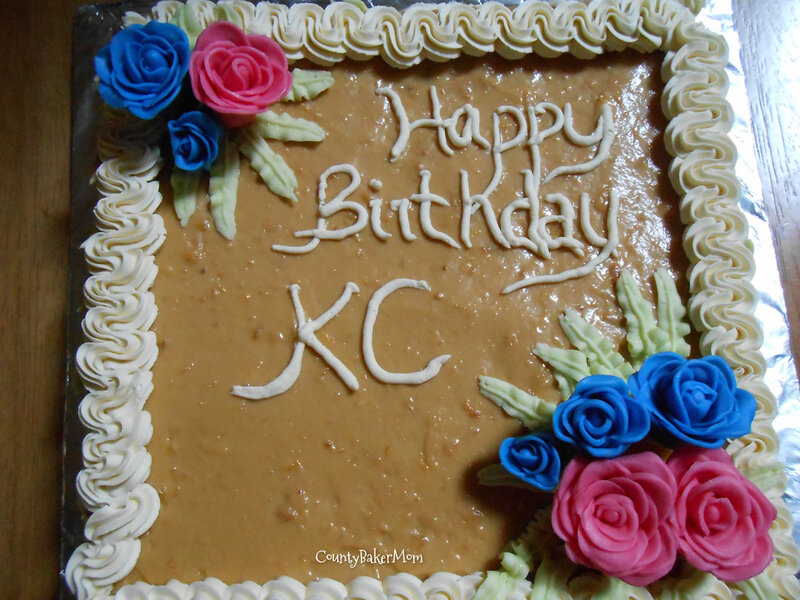 Although, I’ve never tasted caramel cake back home in the Philippines I’m still confident that this cake would pleased my guest and it didn’t fail me☺. This cake have put me in the pedestal for the compliments I have receive. I urge you to try it ☺. Yes! you heard it right. Honestly, I don’t know why it’s called food for the Gods but I’ve read that maybe because of the main ingredients which is dates & walnuts which are very costly in Philippines. Anyway, I admit that this was my first attempt to bake it. And according to my tasters it is indeed a delicious treat. So why don’t you try it:). For Toppings: (optional) – I just want my Food for the Gods to be really chunky. 2. Lightly grease a 9×13 inch pan. 3. Combine the first 4 ingredients. 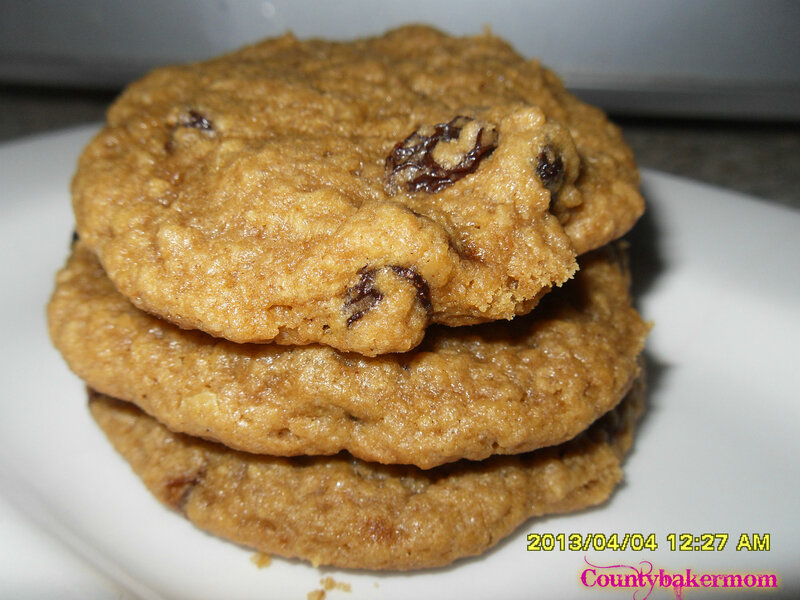 Take ½ cup of flour mixture and dredge the dates. 5. Add eggs, one a time, and beat well after every addition. Gradually stir in flour mixture. Add the molasses, honey and vanilla extract. Mix well. 6. 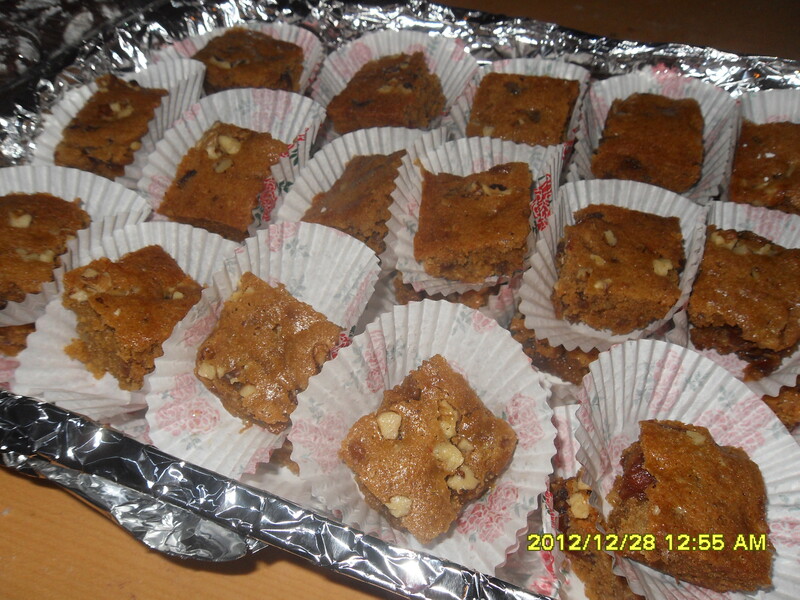 Fold in dates and nuts into the mixture until well combined. 7. 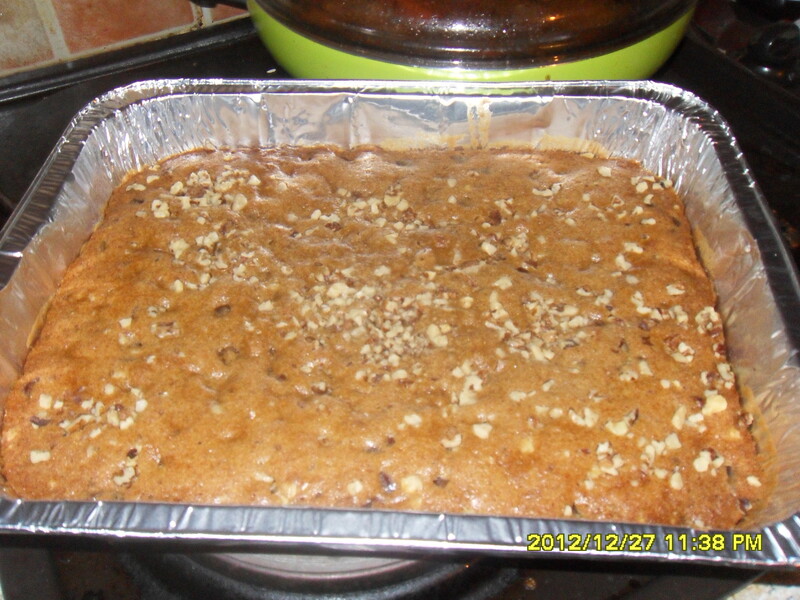 Pour batter into prepared pan and bake for 10 minutes. 9. Cool for about 30 minutes and cut into bars of not more than 2×2 inches in size.